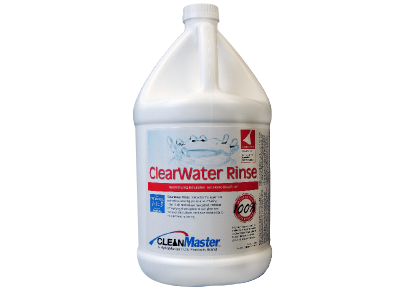 ClearWater Rinse completes the maximum extraction cleaning job as a neutralizing rinse. 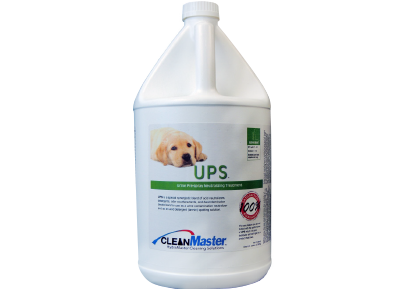 It pH neutralizes the carpet, contains emulsifying rinse agents to complete soil removal, and utilizes exclusive technology to help prevent re-soiling. ClearWater Rinse contains the industry exclusive component Tritanol™ – an integrated blend of specialized encapsulating polymers, organic sequestrants, and specialty surfactants. With the unprecedented cleaning power and performance of Tritanol™, you will experience deep restorative cleaning in high definition. 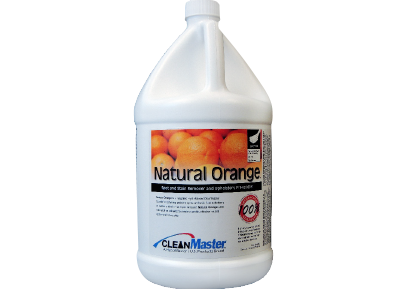 Using Clearwater Rinse as your final extraction rinse allows you to get the carpet cleaner than with conventional acid rinses, and helps the carpet to stay cleaner, longer. The specialty surfactants emulsify tough particulate soils that pre-sprays just can’t remove. The encapsulating polymers not only prevent rapid re-soiling, they also help prevent browning and wicking. Finishing the extraction job with ClearWater Rinse will leave the carpet softer, with a fresh squeaky-clean feel and smell. 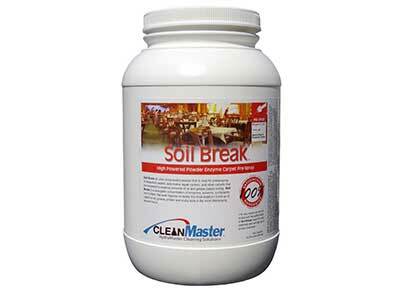 ClearWater Rinse can be safely used on all synthetic and wool carpet fibers. 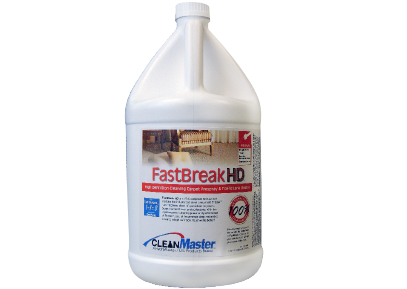 While it will effectively work in conjunction with any carpet pre-spray, using ClearWater Rinse in conjunction with CleanMaster Fast Break HD Carpet pre-spray will deliver unprecedented cleaning results even on heavily soiled carpets. ClearWater Rinse ultra-concentrated formula means you use less cleaning solution. Finally ClearWater Rinse contains special corrosion inhibitors to help protect your equipment components.